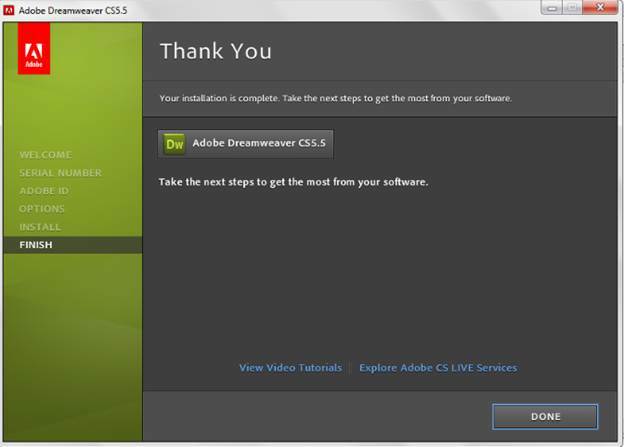 In this article we will see how to install Adobe Dreamweaver CS5 which we will be using to develop HTML programs and is also valuable for creating different types of files and programs. You can download it from the adobe home website or by getting a DVD of it. 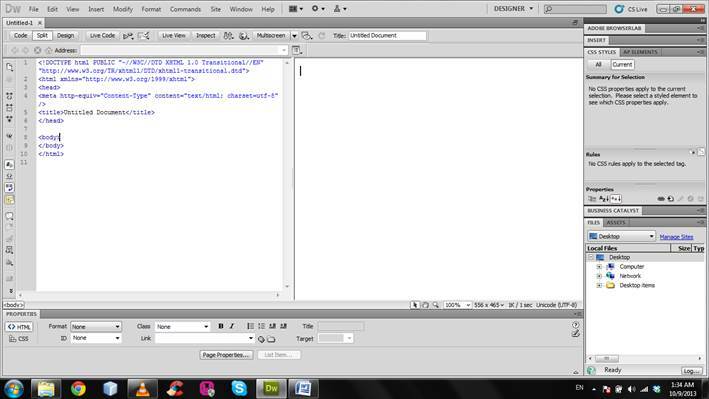 Double click on the “Set-up” application in the “Adobe Dreamweaver CS5.5\Adobe Dreamweaver CS5” folder. 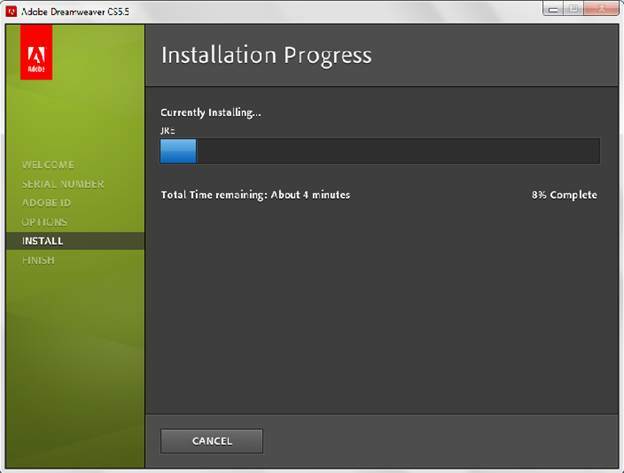 Setup will initialize the installation process. 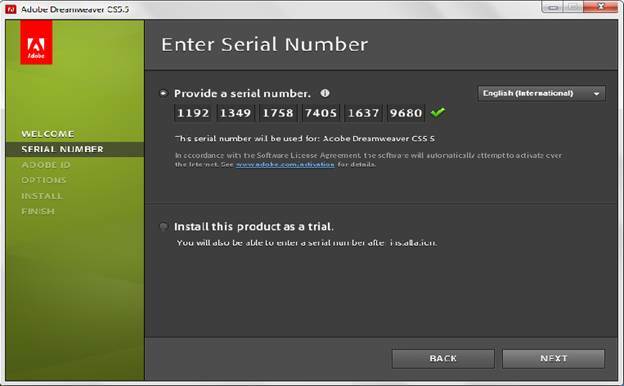 A welcome window will appear, and then select “Accept” option to accept the license agreement. At last, the installation process completes successfully. Click “Done” to finish installation process. This article is about how to write your first program in HTML and getting started with HTML using Adobe Dreamweaver. Designing a website is not as difficult as people think rather it only requires some knowledge to learn to design the web page quite easily. 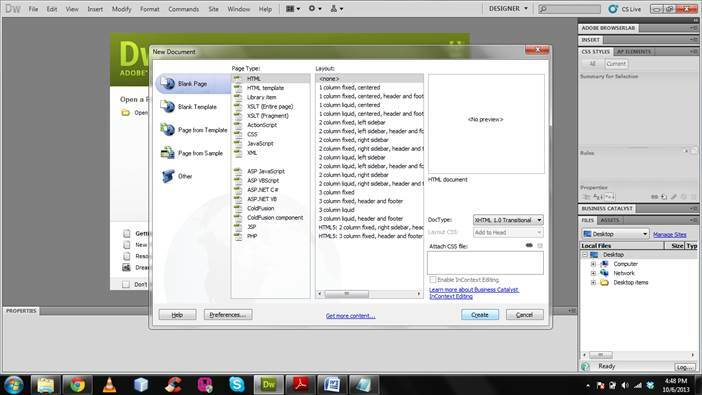 You can design the web page in different environment and IDEs. 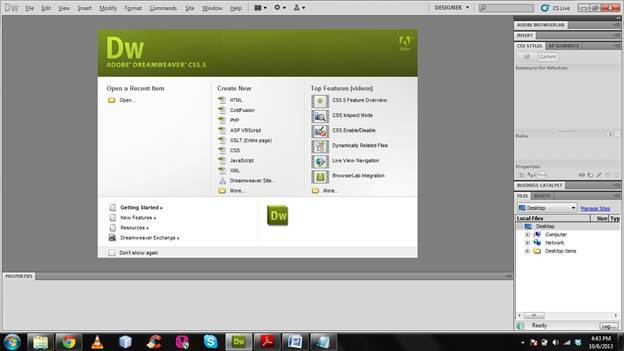 I am using Adobe Dreamweaver CS5 which is one of the best IDE for creating any kind of web page. 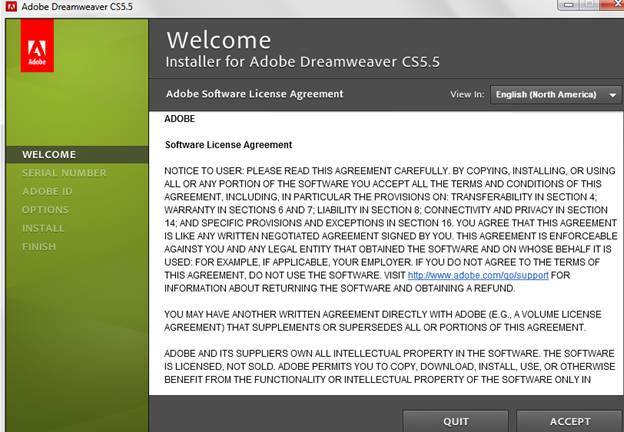 Before you can start to develop web page, Adobe Dreamweaver should be installed on your system. 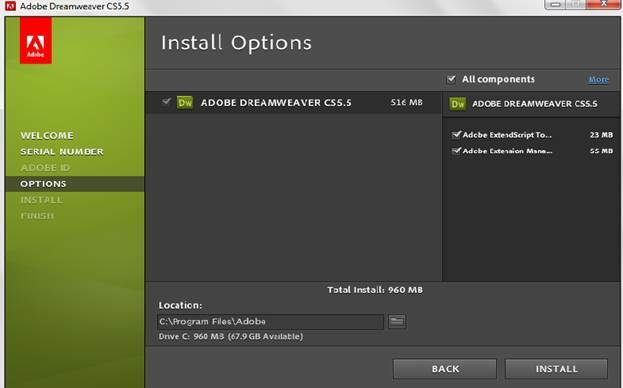 Open Adobe Dreamweaver CS5, just like in the next image. Then click on the file option in the menu bar, then click on new. A “New Document” window appears. Select “HTML” from the “Page Type” column and then click on the “create” button in the bottom of the document. I recommend using the split option as it displays the code as well as the output of what you have designed. Then erase all the code from the left side of the page for the simplicity and write the following code to make your first program. Remember that HTML is not “case sensitive”. Save the file with the name you wish. I have saved with the name “first.html”. Do not forget to save with the extension “.html” as it will not display on the web page without using the extension. 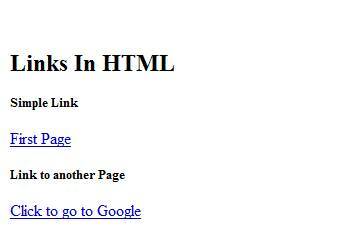 The Html tag is used for writing you code in HTML language. It should be placed in the beginning of the coding. If you do not write it, the web page file saved as html will not be showing anything you have written. The <html> tag is used for coding in HTML language. The Head section describes the head information which is displayed in the title bar of the web page. The tag is used for displaying the head section. The title tag is for displaying the title on the Webpage. tag is used for adding title in the webpage. It should be nested within the head tag. It is optional, without it you can also process the web page but it is good for displaying title in the webpage. It should be placed after the Html tag and before the body tag. You can use different headings using numbers from 1 up to 6 in which the lowest number i.e. 1 is for highest heading and 6 is for lowest heading and so on. 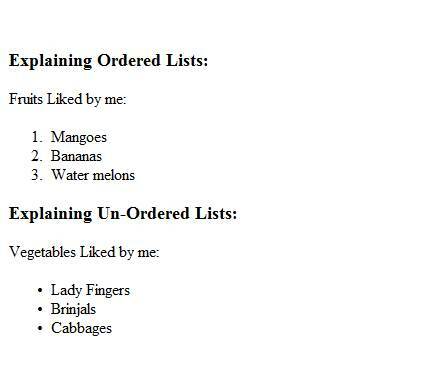 Lists are used for displaying the text as bullets and numbering. Horizontal lines can be added by writing the “<HR>” tag. You can also change the width of the line as well as align them to the left or right by giving description of left, right after align is written. For giving width, you have to give the width length in the description after width is written and is considered in pixels. The <br> tag is used for writing the text in next line. It is used for placing the text in next line. In the above example, it is clearly demonstrated. For adding images in HTML page, the <img> tag is used. The link to an image can be given within the <img> tag by writing the path to the image after <img>. 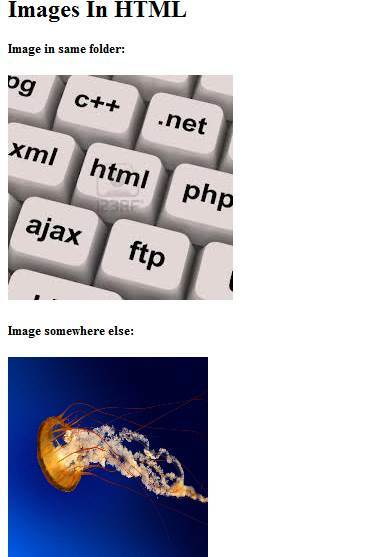 If the image is present within the same folder where the html file is present, then you have to write only the image name. But if the image is present somewhere else, then the complete path where the image is present, should be given. You can also adjust the height and width of the image or resizing the image by setting the image size which can be accomplished by giving “width” after the path of the image and in the same way ”height” can be adjust by giving the height in pixels after the “height” is written. This is all for today’s article, hope you liked, see you next time. Graduate student of Computer Science having hand-onn experience in Android, Java, PHP, HTML5, CSS3, MVC Framework and WebDesign techniques. that is pretty nice article dude!